Thanks to her role on 'This Is Us', Susan Kelechi Watson has become a favorite to see all around. The actress attended the 44th E! People's Choice Awards this evening(November 11th) at the Barker Hangar in Santa Monica, CA. GEORGES CHAKRA continues to be a celeb favorite brand, as the actress chose a mini dress from the designer's FALL 2017 COUTURE collection. 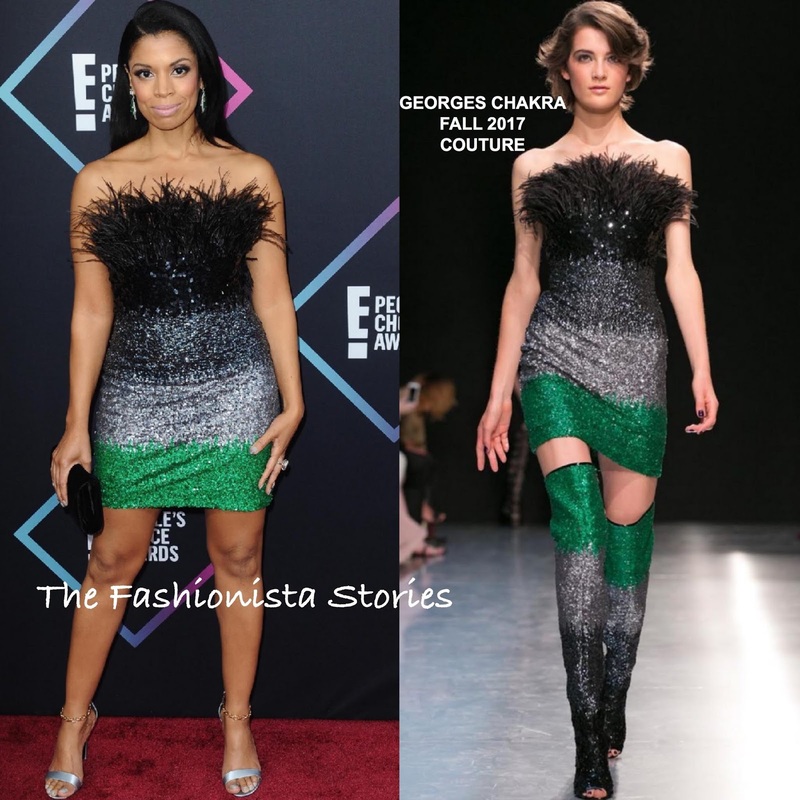 Her black, charcoal grey, silver and green sequin mini dress, featured a playful feather neckline. Ditching the matching boots, she opted for simple silver sandals. ALEXIS BITTAR earrings, a black TYLER ELLIS clutch, STELLA LUNA sandals, a light pink lip color and side parted straight tresses rounded out her look.